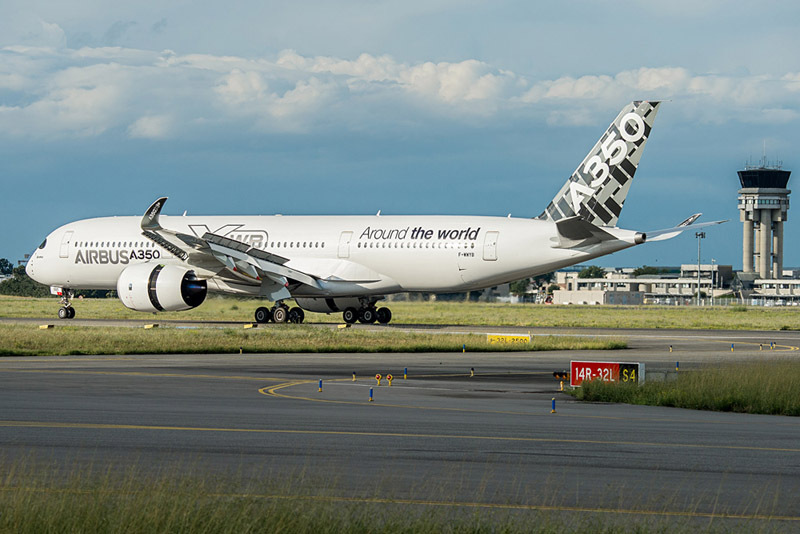 The European Aviation Safety Agency (EASA) has approved the new Airbus A350-900 airliner for ETOPS (Extended-range Twin engine aircraft Operations) ‘Beyond 180 minutes’ diversion time. This significant achievement marks the A350 XWB as being the first new aircraft type ever to receive such a level of ETOPS approval prior to entry into service (EIS), the manufacturer told. The FAA’s respective ETOPS certification of the A350 is expected soon. The approval which includes ETOPS 180min in the basic specification also includes provisions for ‘ETOPS 300min’ and ‘ETOPS 370min’ depending on individual operator selection. The latter option extends the diversion distance up to an unprecedented 2,500nm – a distance which corresponds to a maximum ETOPS diversion time for the A350 of approximately 370 minutes, at one-engine-inoperative speed under standard atmospheric conditions. A350 operators will thus be able to serve new direct non-limiting routings, compared with a 180 minute ETOPS diversion time: The ETOPS 370min option will be of particular benefit for new direct southern routes such as between Australia, South Africa and South America; while the ETOPS 300min option will facilitate more efficient transoceanic routes across the North and Mid-Pacific – such as from South East Asia to US, and Australasia to the US. Meanwhile, operators flying on existing routes (currently flown with up to 180 minute diversion time) will be able to traverse a straighter and consequently quicker and more fuel efficient path, and also have access to more – and possibly better equipped – en-route diversion airports if needed. The granting of this ETOPS capability prior to the A350’s EIS is a testimony to the development teams’ emphasis on securing the aircraft’s design and systems maturity, which had to be demonstrated as equivalent to that of a proven ETOPS aircraft such as its widebody sibling – the versatile and extremely reliable A330. The latter has proven the robustness of its systems as demonstrated in over 30 million flight hours in almost seven million flights. The A350 XWB is Airbus’ all-new mid-size long range product line and the newest member of Airbus‘ leading widebody family. The type sets new standards in terms of passenger experience, operational efficiency and cost-effectiveness. Around 70 percent of A350 flight hours will be ETOPS. 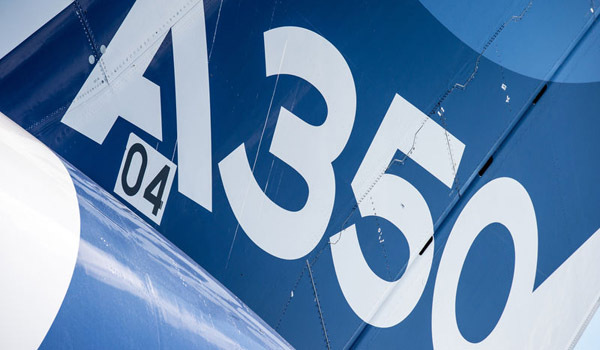 At the end of September 2014, the A350 XWB had won 750 orders from 39 customers worldwide. “ETOPS” is a set of rules initially introduced by International Civil Aviation Organisation (ICAO) in the mid-1980s to allow commercial operations with twin-engine aircraft on routes beyond 60min flying time from the nearest airport and which were previously operated only by aircraft with more than two engines. These rules, which are now named “EDTO” (Extended Diversion Time Operations) by ICAO have been progressively revised to allow operations beyond 180min diversion time. In 2009, the Airbus A330 became the first airliner to gain an ETOPS ‘Beyond 180min’ certification, when it was granted an ETOPS 240min certification by EASA. As of today, Airbus twin-engined airliners have accumulated over 16 million ETOPS flight hours, out of which over 12 million have been accumulated by the A330 models.